Available in left facing and right facing models. 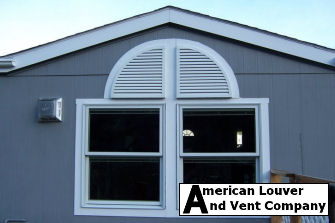 The quarter round gable vents function great and look amazing when placed above shutters or windows to add a beautiful archtop feel. 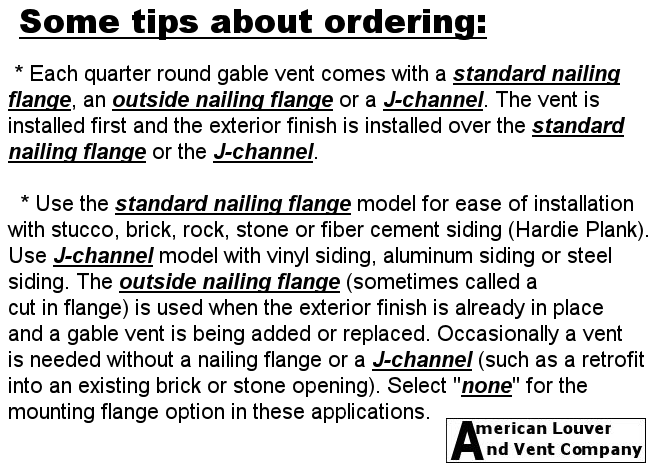 When placed back to back they can add a heightened decorative purpose. 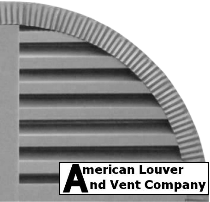 All of our gable vents can be made either functional with a insect screen backing or non-functional with a solid aluminum backing.